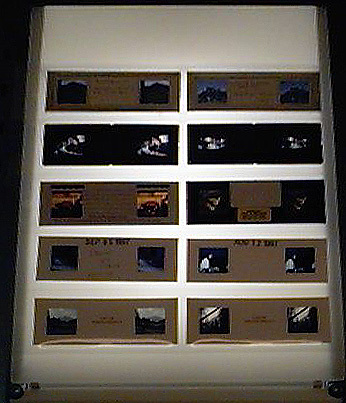 If you prefer to store your slides in storage pages, so you can view them easily, we have 8 1/2" x 11" pages made of archival 10mil polypropylene. This is the most archival of all plastics and won't yellow or get brittle like earlier vinyl slide storage pages. These pages are three hole punched so they can be stored in a binder or hung in a filing cabinet. 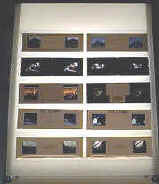 They each hold 10 Realist (Rochwite) format stereo slides (1 5/8" x 4"). The pages are frosted-back to allow easy browsing or even freeviewing of your slides, because it diffuses the light source behind the page. These pages have been tested and passed the PAT test (Photographic Activity Test which is the standard that's used to make sure the pages are safe for photographs). Please see this page to confirm test results.